Thanks to the convergence of social media and mobile technology, e-commerce is expanding at an unprecedented pace. 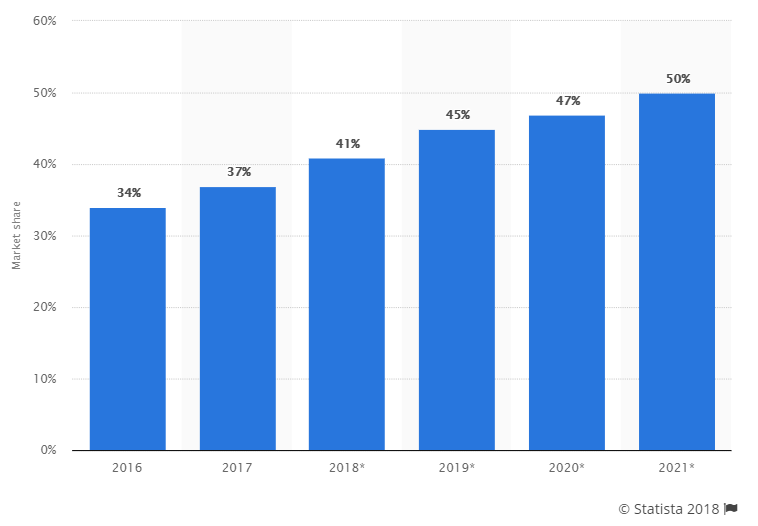 According to Statista, global retail e-commerce sales are expected to reach nearly $4.5 Trillion by 2021, up from $1.3 trillion in 2014. That’s more than three folds rise in just seven years! In other words, this is a great time to launch your e-commerce business. However, with the rising popularity comes tough competition. Just as brick and mortar stores went up against Walmart in decades past, new e-commerce stores today are competing with online retail titans like Amazon. In the US, Amazon’s market share was 37% in 2017. By 2021, the online retailer is expected to account for half of the total e-commerce market share. Naturally, launching an e-commerce business and keeping it afloat in the age of Amazon is going to be a tough task. But it’s not impossible. 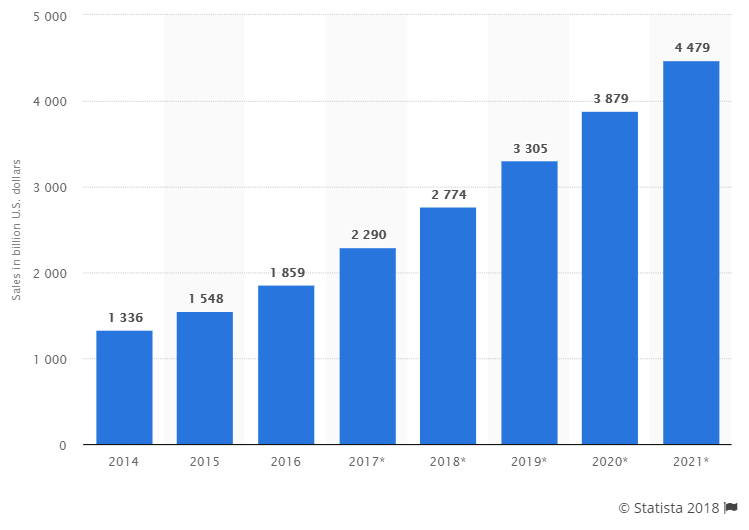 While you likely won’t be able to fully overtake this giant e-commerce store, you can certainly set yourself apart from it and gain a loyal online following. The following tips will help you in this regard. Research and planning will help you lay a strong foundation for your e-commerce business idea. The two most important factors that you need to consider at this stage are choosing a product or a market niche, and evaluating your business model. Contrary to popular belief, you don’t need a vast expanse of products, massive infrastructure, and enormous financial resources to compete with the likes of Amazon. Amazon’s weakness lies in its greatness. They sell almost everything from trinkets to furniture. Your e-commerce startup, on the other hand, can focus on a particular market segment and dominate it more efficiently than Amazon. According to the E-commerce Startups Report, the best way for newcomers to survive against big shots such as Amazon is to offer consumers something unique. More than half of the 72 retailers covered in the report are selling products they developed themselves. You should skip anything dominated by major brands. However, don’t choose a market niche with zero competition, as it usually indicates an absence of real consumer demand. If possible, try to find a product with plenty of shoulder niches. You can cross-promote your product in those niches and create potential affiliate marketing opportunities with other brands to grow your business. Make sure to pick up a product with a substantial keyword base. More keywords mean higher consumer demand. It will also help you capitalize on content marketing opportunities. Once you have a product and a market niche in mind, you will need to choose and evaluate a suitable business model. Usually, there are five types of e-commerce business models. If you have a limited infrastructure budget, you may want to avoid investing in warehousing. In this case, you should consider implementing a drop-shipping business model. If your product or market niche demands warehousing lots of goodies, you can adopt the wholesaling model. However, this business model typically requires a substantial infrastructure investment upfront. If you have a product that you can source from an OEM and sell under your brand name, white-labeling is the right option for you. Sometimes, you may want to sell a product(s) of your own making. Therefore, you will need a manufacturing-based e-commerce model to sell such products online. Usually, most online service providers, such as SaaS (Software as a Service) companies, use this business model. Customers are required to pay a subscription fee to access the product or service. When it comes to running an online store, a visually stunning design can help attract customers. However, Google will rank your page based on relevant keywords. Thus, both UX design and search engine optimization will more or less decide the fate of your online business. In 2016, 43% of e-commerce traffic came from Google searches. Google prides itself on offering the most relevant search results to match user intent. The algorithms will scrutinize your site based on a variety of SEO factors. You need to find out the keywords and phrases that are most relevant to your product and market segment. Besides relevance, you will also need to consider keyword competition and search volume while choosing the best possible product keywords. Use these keywords in titles, subtitles, and any other appropriate place on the website. Just make sure to scatter them meaningfully. Google has strict policies against keyword stuffing. Search engines can’t view the images like us humans do. In other words, they won’t know the difference between the photo of an orange and a toothbrush. That’s why you should use the alt tag to describe the images. Don’t forget to use the right keyword while doing so. Titles and Meta descriptions appear in the Search Engine Result Pages (SERPs). So, keeping them precise and keyword-friendly can help boost your site’s ranking. 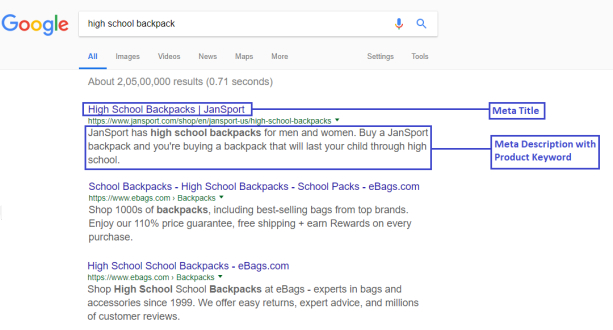 Make sure to use product keywords naturally in the description. The description should be enticing, but not too long or watered down. Keyword-friendly and clean URLs can improve your search engine ranking significantly. The URL address needs to be brief, descriptive, and relevant. It will appear directly beneath the title on the SERPs. Avoid using dynamic URLs, as they can be downright confusing for humans. Instead, use static URLs. The reader should be able to look at it and know exactly what the page is all about. Make sure to use hyphens (-) instead of underscores (_) as Google reads different words separated by underscores as a single word. For example, it will read best_organic_peanut_butter as bestorganicpeanutbutter. 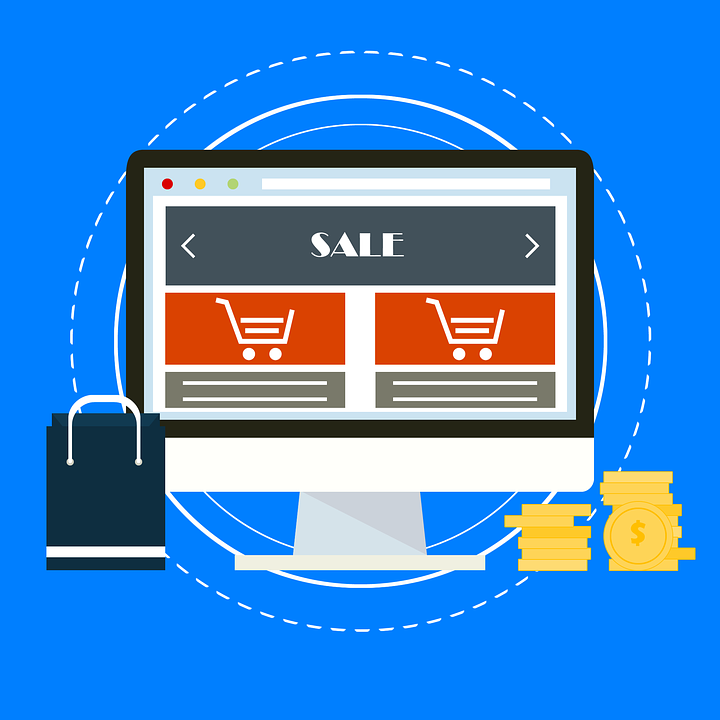 The sole purpose of an e-commerce store is to provide customers with a reliable, convenient, and hassle-free shopping experience. If your website’s usability is subpar, people will naturally go elsewhere – as there are plenty of options. Perhaps the most critical elements of your website are the speed and accuracy. Your potential customers would like to find what they want as quickly and precisely as possible. Leave no stone unturned to reduce your page loading time and improve site navigation. Start by getting rid of broken links and making sure all product, category, and subcategory links are in-line with your inventory. Just like a brick and mortar shop, your online store must showcase products in style. Always use high-quality images videos that give customers as much visual context as possible. Parallax scrolling, ghost buttons, and automatic image sliders are some simple wow factors that can help attract more people and gain conversions.Use familiar labels, signs, tags, and words on the product description page. Keep it as simple as possible. Here is a great example of a slick product page with a short and to-the-point product description. 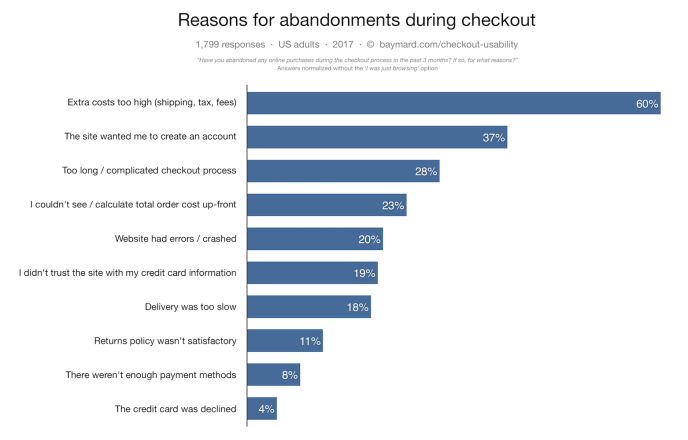 High extra costs are the number one reason for cart abandonment, followed by a compulsion to create an account and complicated checkout processes. So keep it simple, secure, and quick. Provide the total order cost upfront and allow guest checkout. You also need to provide users with as many payment options as possible, including cash on delivery (COD). Mobile e-commerce is on the rise. You need to treat this as a completely different UX and create a unique layout for your mobile-friendly site. Highlight critical product features and offers. Provide users with digital or mobile wallets on the checkout page. Most importantly, make sure the design works seamlessly on all mobile devices. No matter how excellent your UX design is, you will likely experience problems at one point or another. However, you can leverage those problems to make your website more user-friendly. To find out the issue concerning your site, social feedback from your customers and the insights from your analytics are two of your most valuable resources. Be sure you are keeping up with keyword research to identify the trending terms and phrases in your market niche. You can also use social media monitoring to stay in the loop with popular hashtags, influencers, journalists, and content relevant to your industry. When it comes to searching for products, spelling mistakes are quite common. That’s why you also need to consider close derivatives of your product names and descriptions. Understanding how visitors are navigating your site and identifying the latest trends in your niche can help monitor your website UX in real-time. Make it a point to keep up with Google Analytics on a daily basis. However, it is good to use more advanced tools if possible, as they can gauge brand sentiment, identify audience demographics, measure consumer engagement, and track response time more accurately. The more actionable insight the tool provides, the better. Your site’s navigational provide you with actionable insights for improvement. With this information, you are better equipped to address the necessary steps to fix these issues as soon as possible. You may need to optimize each page separately according to the user flow. For example, you may have to remove distracting images or videos from one page, while adding (or repositioning) call-to-action buttons on others. You may also need to remove irrelevant links and add breadcrumb navigation. Starting an e-commerce business in the age of Amazon is challenging, and these recommendations are just the tip of the iceberg. Still, many small online stores have successfully navigated the e-commerce sea, which is growing bigger and bigger every year. With the help of the above tips, you can take a confident step in this direction and set up your online store properly. Sure, it will take some elbow grease and time, but with the right amount of determination, you can make it happen. I would love to continue this conversation. Feel free to share your ideas and views in the comments below!